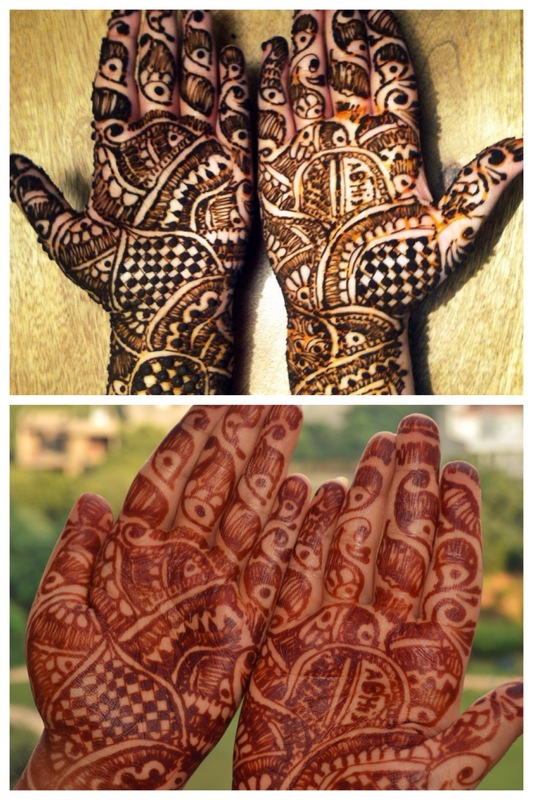 I love this festival as it allows me to get all dolled up with new clothes, jewelery, mehndi and beautiful makeup! 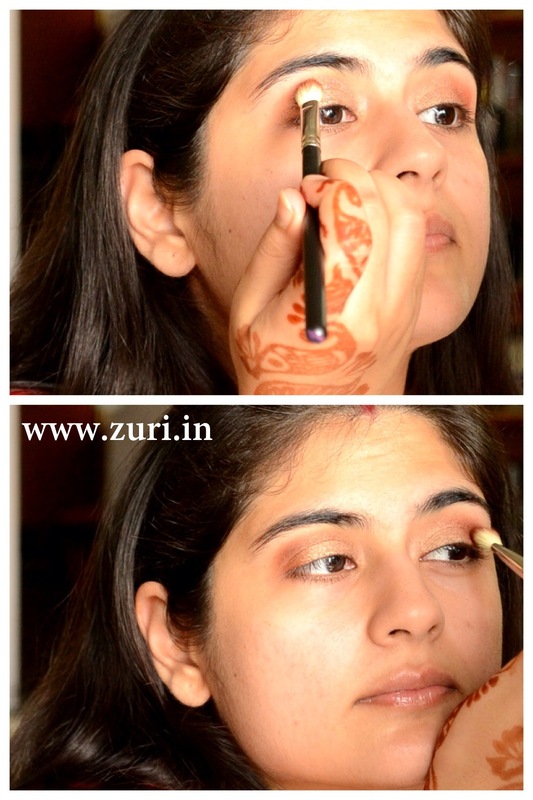 In this post you can learn how I did my karva chauth 2013 makeup – hopefully you will get some new ideas from it. If so, please share! Hope you’ll enjoy it. 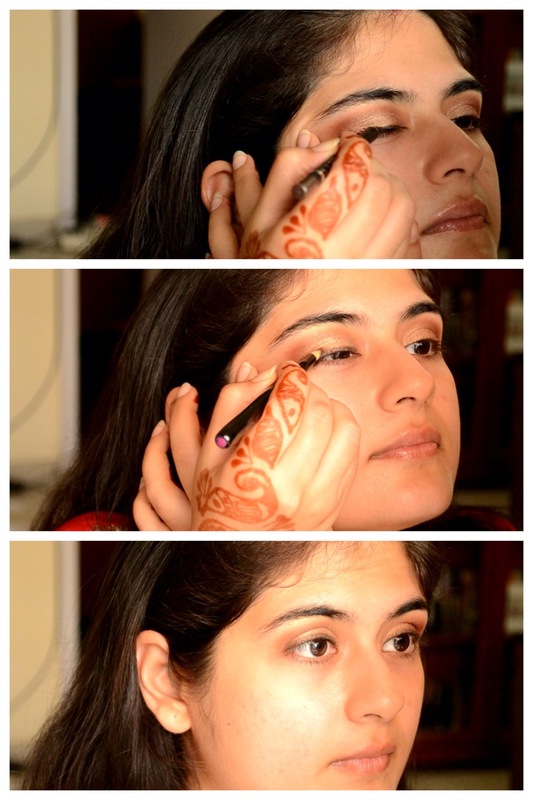 Step 1: As always, I began with the eye makeup. 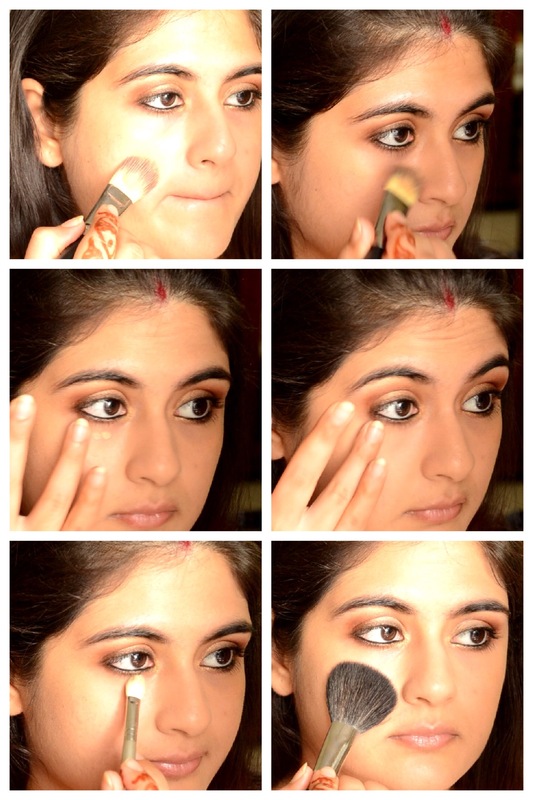 First, I applied MAC ‘Let me pop’ paintpot on my eyes as a base and followed it up with MAC Woodwinked eye shadow. 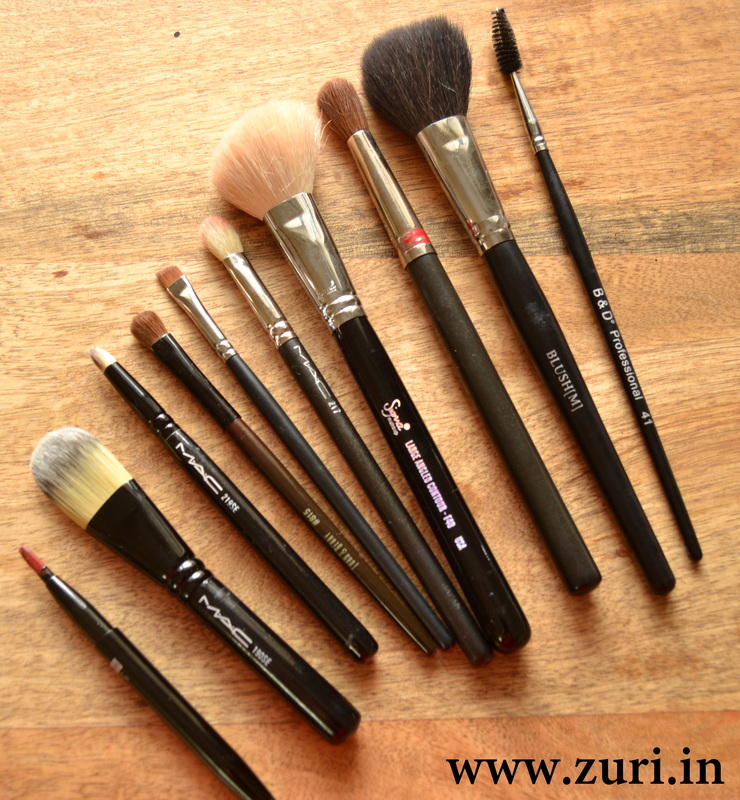 I blended the eye shadow with a blending brush. 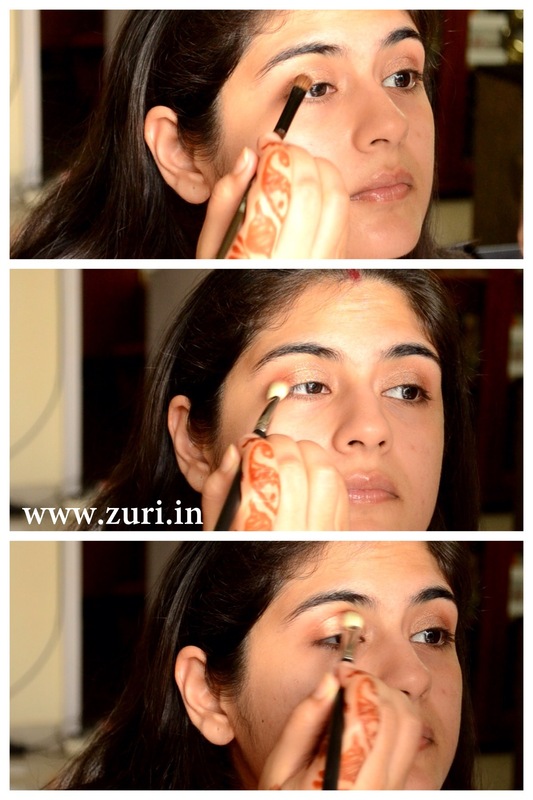 Step 2: With the same blending brush, I picked up some MAC Coppering and placed it on the outer third of the eye blending it inwards onto the crease. 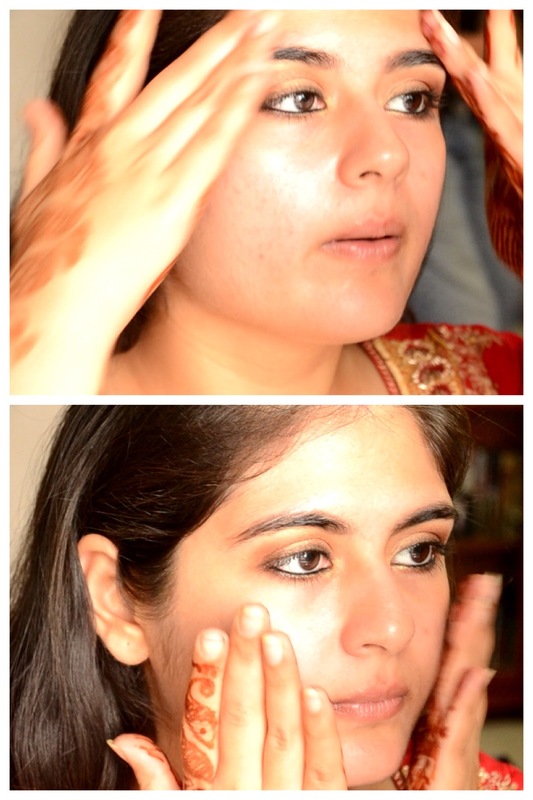 To intensify the crease a bit more, I applied MAC Embark & blended the 3 colors. 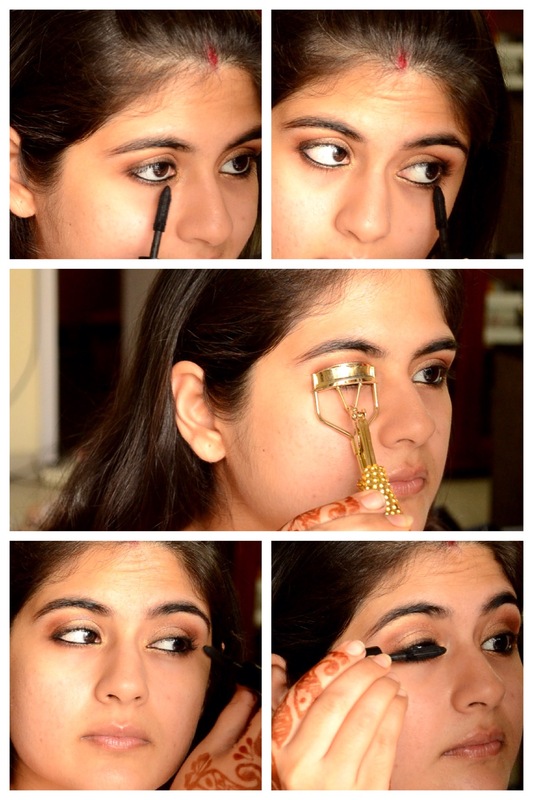 Step 3: As a highlighter I used a B&D silver-gold glitter powder on my brow bone. 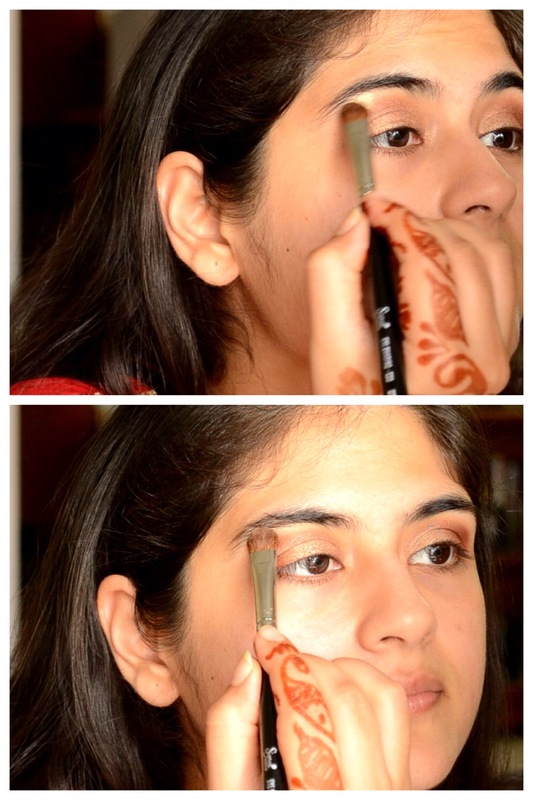 Step 4: For the eye liner, I used a Faces pencil in a brown shade as I did not want a very prominent line. I further went ahead and smudged it with a pencil brush for a soft smokey effect. 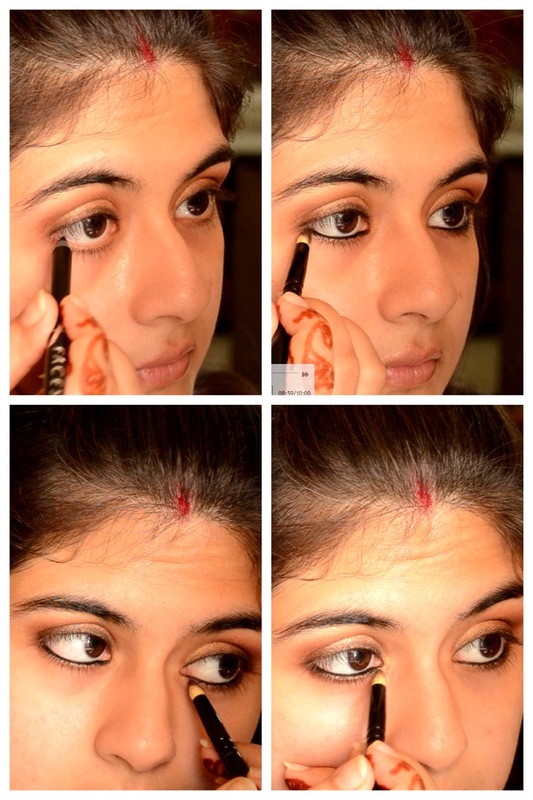 Step 5: Then I applied a black kajal pencil from Faces inside the waterline and used a pencil brush along with some MAC Embark below the waterline. I also applied a tiny bit of MAC Woodwinked in the inner corners of the eyes to make them look more awake! 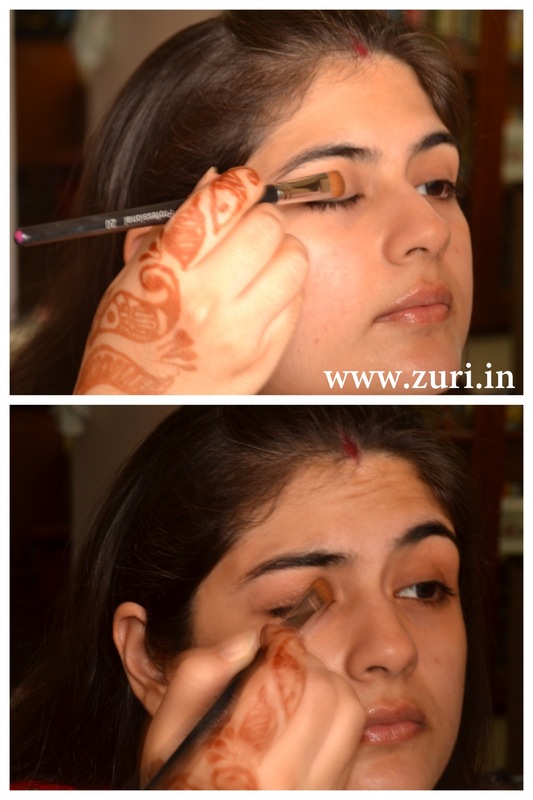 Step 6: Next, I filled in the eye brows with MAC Embark (a very versatile shade- total must have shade from MAC) and an angled brush. 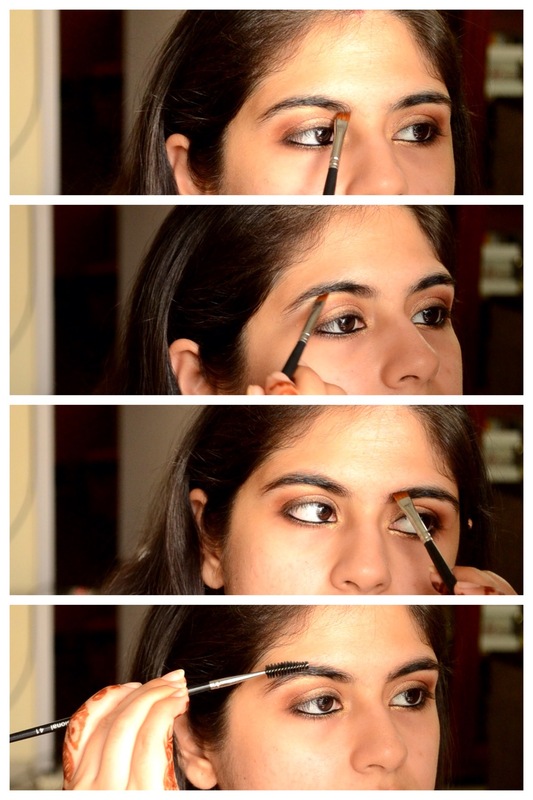 Follow this up by combing through a mascara want through the eye brow hairs to give them the perfect shape. You could also use an eyebrow gel to make the hair stay in place, just in case you are going to an area that is super breezy. Step 8: I applied some MAC Strobe Cream all over the face to give me a dewy effect and some sheen as my skin was feeling very dry today. I used it like I’d use a moisturizer – blended it with both the palms and applied it evenly all over. Step 9: Next came MAC Studio fix foundation (NC 37) with a flat foundation brush, then a Kryolan concealer under the eyes and finally loose powder from B&D all over the face especially under the eyes so that the under eyes do not start showing lines. 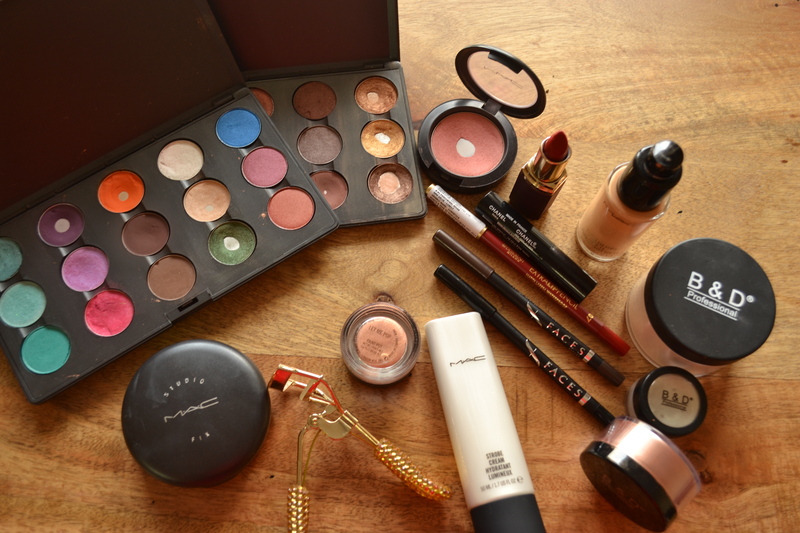 Step 10: Then came contour (MAC Embark, AGAIN… he he), blush (MAC Peachykeen) and highlight (B&D Bronze glitter powder). 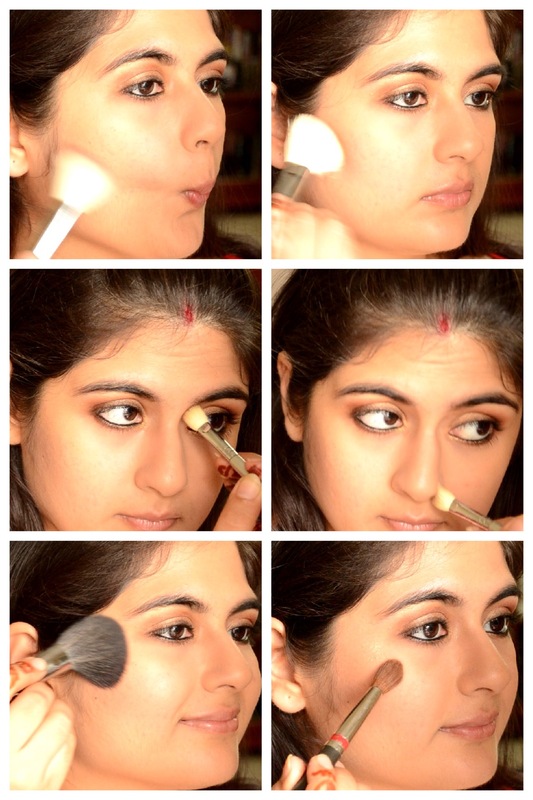 Step 11: The last feature – the LIPS! 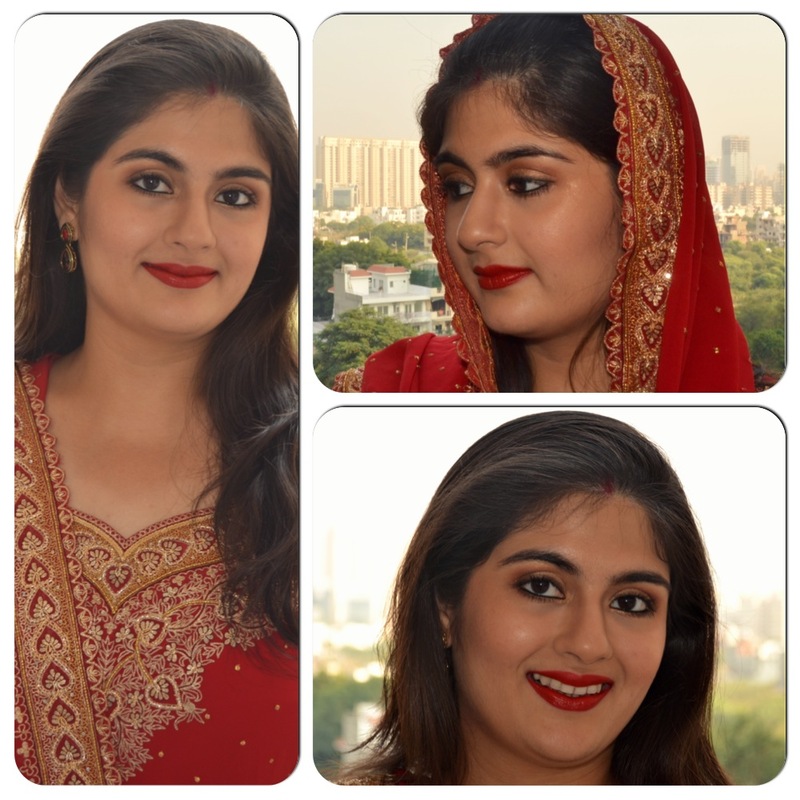 I lined them with a Deborah lip pencil and topped it with a gorgeous shade from Lakme Enrich with a lip brush for more precision. I tried this lipstick for the first time an I must say it was lovely! Had a great fragrance and a natural sheen to it! 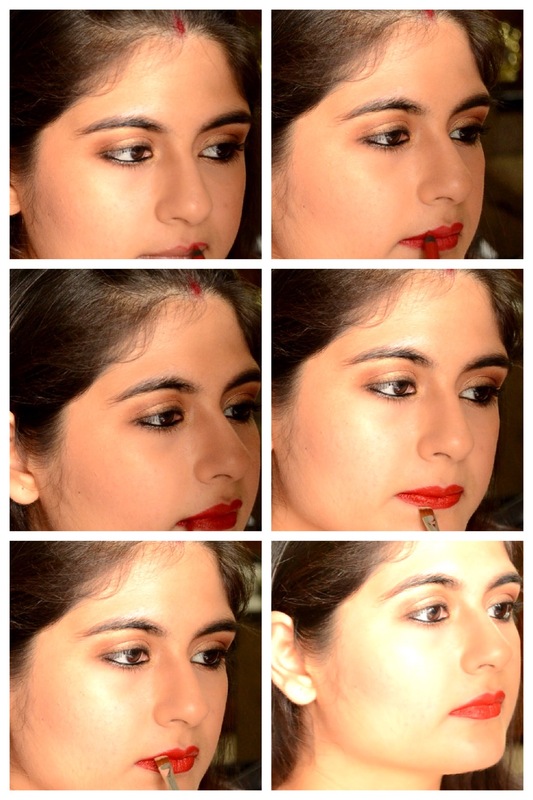 Finally, to blur out any harsh edges of the red lipstick, I ran through some MAC Studio fix powder (NC 40) all around the lips with the help of an angled brush. Ta-da! Done! What do you think? Let me know in the ‘comments’.